So, I’m sick. Really sick. My entire body seems to be oozing some sort of fluid and it’s all pretty disgusting. My eyes are runny, my nose is a sore, congested mess and my lungs are trying really hard to keep air in them. It’s not easy with all the coughing and sneezing I’m doing. I blame this illness for the obsession that has taken over me. It started innocently enough with my hubby mentioning that he’d love homemade bread. I went online and watched a video where a calm, serene man kneaded dough into submission and made beautiful bread effortlessly. It seemed so easy, so simple and so lovely that I had to try it. First, I had to buy the machines to make such bread. I opted for a Dutch Oven. 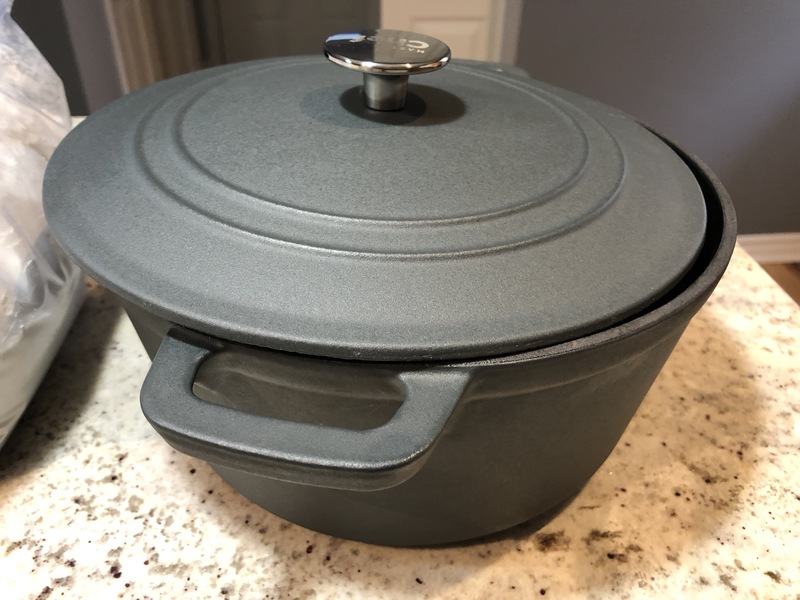 This is a dutch oven. I had no idea these things even existed. So I got flour and threw in the ingredients. 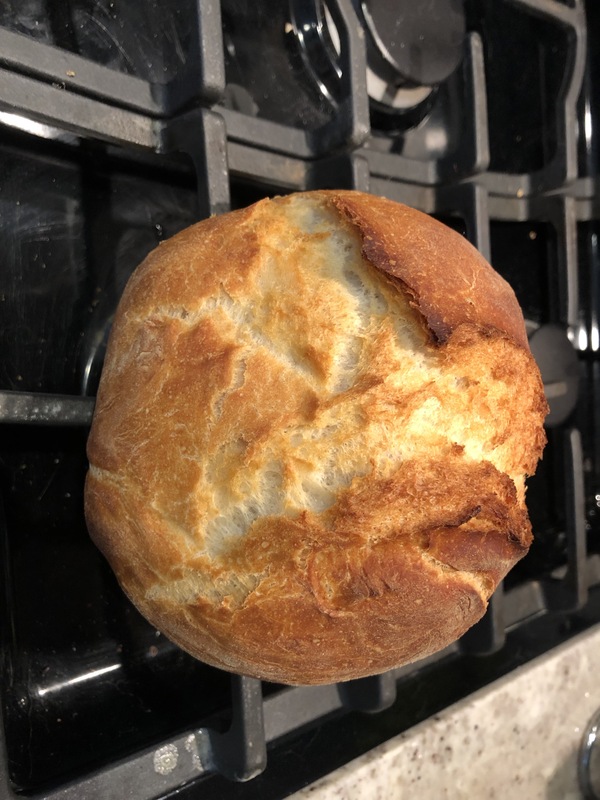 Well, first of all, my dough didn’t look at all like the well-behaved, even sphere I had seen on the video. Mine was a messy, sticky goo that seemed determined to ooze its way through the kitchen but, hey, what did I know? Time to bake! In it went and out it came…looking as thick and heavy as a brick. My lovely hubby, innocently tried a piece and chewed and chewed before finally swallowing the mess. 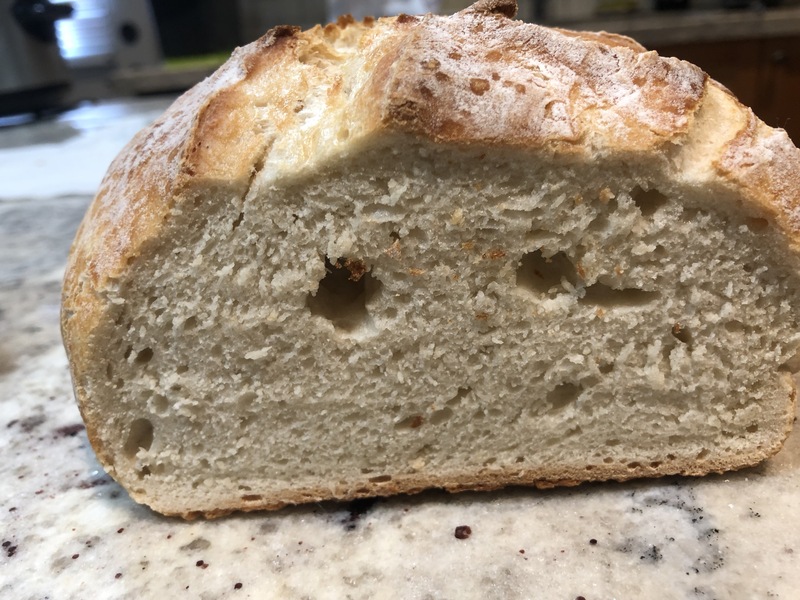 It tasted nothing like bread. 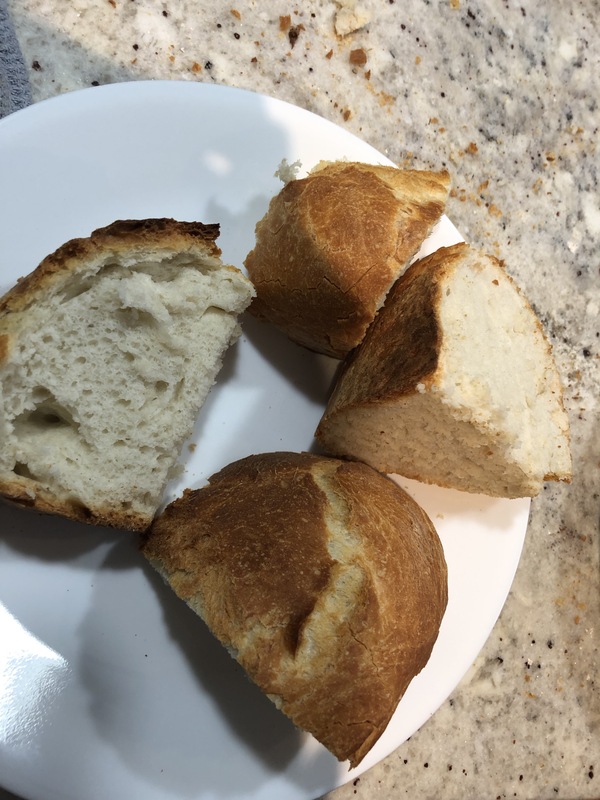 Anyone else would have probably shaken it off, realized you can buy freshly baked bread at the store and moved onto better projects but not yours truly. I was, and still am, pretty sick and one cough after another, I was going to bake something! So, on came attempt number two (where I doubled the amount of salt). Second attempt was even heavier than the first. The dough didn’t even pretend to rise. The second attempt was even more depressing than the first. See the above? It’s about as light as cement and feels like that in your stomach. Ugh. But did I give up? Nope. I went back to the store and bought a new contraption. 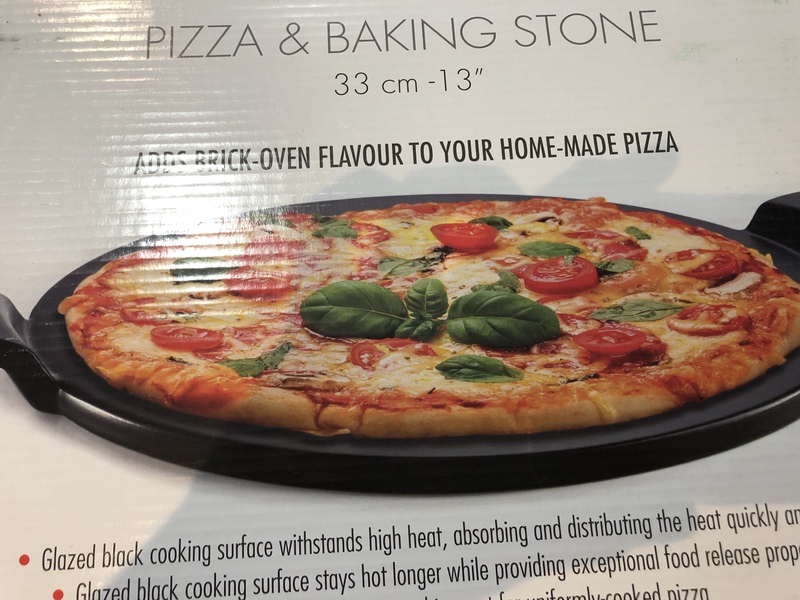 A baking stone will sort everything out! Well, I haven’t actually used this one yet. I’m in the middle of production. 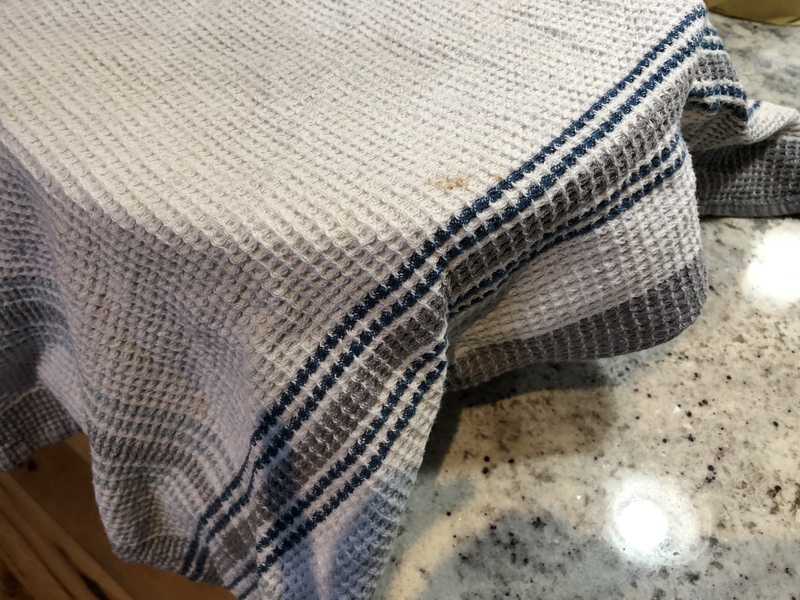 Guess what’s under that kitchen cloth? That’s right! More dough. In my desperate attempt to not create another ‘bread-brick’ I’m going to knead this thing like there’s no tomorrow and let it rise overnight! Let’s see if that makes any difference. Oh and I’ve switched from white to whole wheat flour because hubby said ‘The whiter the bread, the sooner you’re dead’. So who am I to contradict him?